SURFIN' CHRISTMAS at NIED'S HOTEL!! 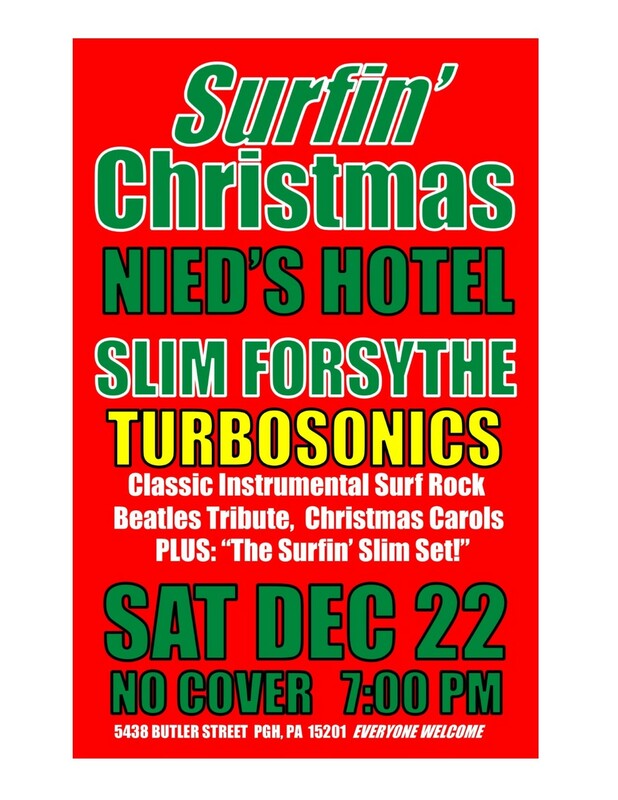 It's a Surfin' Christmas at Nied's Hotel with Slim Forsythe & the Turbosonics!! 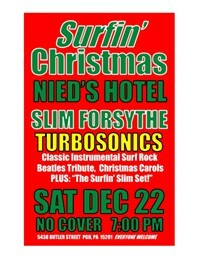 Classic Instrumental Surf Rock, Beatles Tribute, Christmas Carols, PLUS: The "Surfin' Slim Set!" No Cover. Music starts at 7:00 PM. Smoke free. Family friendly. Kitchen's open late. Everyone Welcome!